A US merchant ship carrying American military equipment was reportedly 'harassed' by a Russian naval vessel and helicopters in the Baltic Sea last month, according to Defense News. On May 25, the M/V Green Ridge was transporting military equipment to Lithuania for the annual US and NATO Exercise Saber Strike 2017 when it was approached by the Russian ship and helicopters, according to an internal report of the incident that was obtained by Defense News. 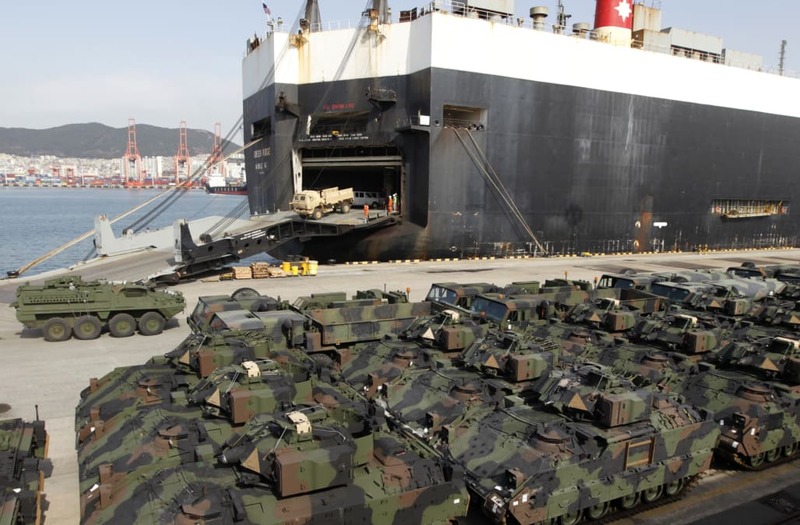 US Transportation Command told Business Insider in a statement it was aware of the "alleged situation" between the US-flagged ship under a Pentagon contract and the Russian military, but did not confirm details. "US aircraft and ships routinely interact with other nations, including Russia, in international seas and waters, and most interactions are safe and professional," US Transportation Command said. "While under DoD contract, commercial shippers are expected to observe these same maritime laws. We expect Russian vessels and aircraft to operate safely and professionally as well." Nobody was hurt during the incident, the command said. The ship also arrived safely and undamaged. The shipping company, Central Gulf Lines, and its parent company, International Shipholding Company, were not able to provide additional details on how exactly the Russian vessel and helicopters harassed the US ship. International Shipholding Company filed for Chapter 11 bankruptcy in 2016, but announced on June 1st that it had emerged from bankruptcy as a subsidiary of SEACOR Holdings Inc. There have been at least 35 such incidents between US and Russian ships and aircraft over the Baltic Sea since June 2, according to Fox News. On June 21, an armed Russian jet came within 5 feet of a US plane, and less than 24 hours later a NATO jet buzzed a Russian plane carrying the Russian Defense Minister.